Ken Warchol, who is the Program Director of the Worcester County Beekeeping Association. Gave an informative lecture on the importance of bees in our community. He is best known as The "Bee Whisperer". Ken brought lots of different varieties of honey for everyone to try! Cindy Dunn, Assistant Sanctuary Director at Wachusett Meadow Wildlife Sanctuary, Princeton gave a presentation on the Eastern Monarch Butterfly to a packed house! It was a great way to learn about this fascinating butterfly. Our former WGC President Rosalind Beck guided our hands on program, "A Design in the Round”. Members made a table centerpiece of flowers either in a vase or with a foam core. Everyone who was able to make it to the Harvard Museum's "Glass Flower" exhibit had a great time! and for the fabulous job of showing everybody how to make these wonderful keepsakes! 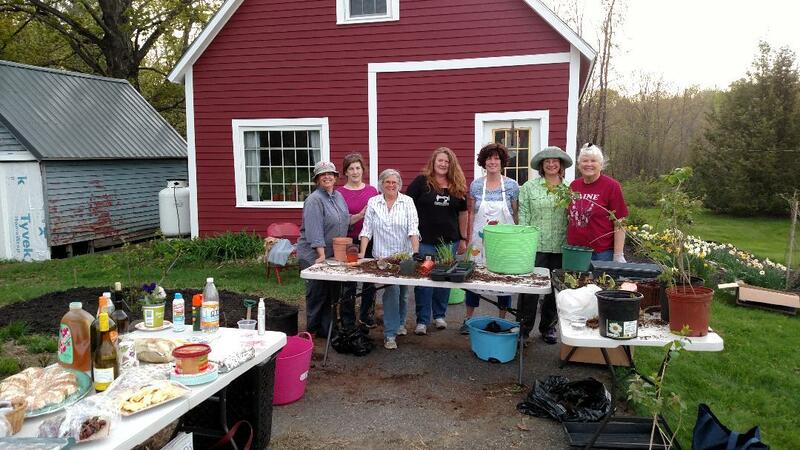 There was a lot of work to be done for the Garden Club's plant sale! This is just a few of the members who helped, and thanks to all that could attend!! To share ideas, information, and expertise that will serve to enhance each members knowledge of horticulture. To use the acquired skills and knowledge of the membership to benefit our towns and their residents through community projects and to promote a spirit of good will.